Are you from Rivers State? Aged between 25 – 35 years - trendy and vivacious, with a passion for adventure? Do you think you have what it takes to anchor a TV show on tourism? Can you act? Are you fluent in English and your local dialect?? This might just be the opportunity you are looking for. We are auditioning for male and female presenters for a tourism magazine TV show. Auditions will hold in Port Harcourt on Tuesday 10th December 2013 at Grand Montecito Hotel, 303 Sani Abacha Road, GRA Phase 3 Port Harcourt. Time: 10AM prompt. 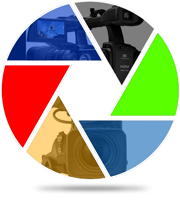 Come along with your A-Game as well as a 5 X 7 photograph and a portfolio of what you have done.